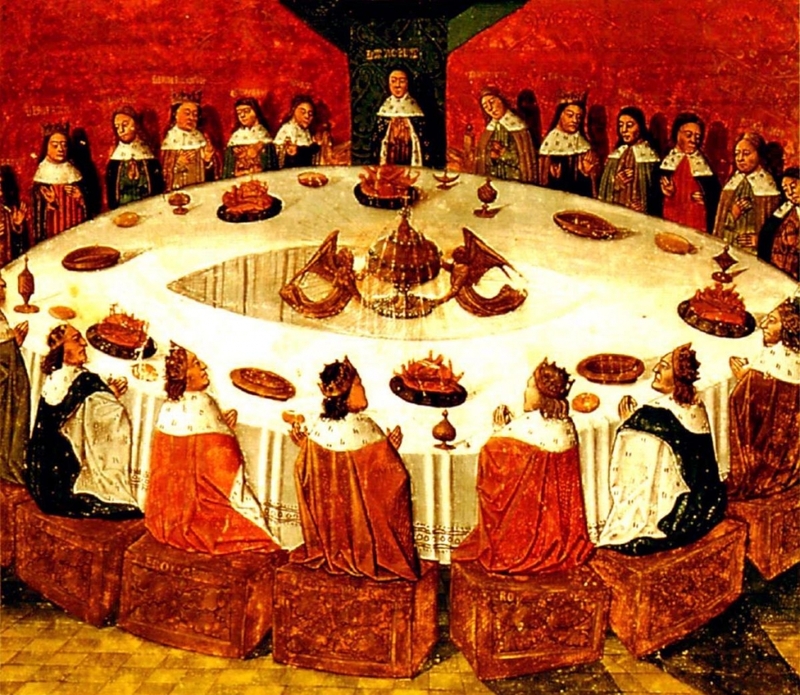 Roundtables are not ordinary Great Books classes. They take place once or twice per semester, among some of our faculty members only, to model Socratic discussions, so students and parents are encouraged to audit them. Sometimes students are invited to join the discussion towards the end of the roundtable. Regular Great Books class samples may be accessed HERE. Our “roundtable discussions” or, simply, “roundtables,” are conversations upon an agreed topic and take their initial direction from particular texts that have been read for that specific roundtable. We say “initial direction” as the conversations can go wherever the flow of ideas leads. The number of participants is usually limited to three or four people to allow for the presentation of differing viewpoints without the impediment of having so many voices that give and take among the participants becomes unwieldy. The topic of this roundtable discussion is “Good and Evil.” The texts that served as the catalysts for the conversation are Frederich Nietzsche’s “Beyond Good and Evil” and Aristotle’s “Metaphysics,” Nicomachean Ethics,” and “Politics.” Here is a link to the roundtable. The topic of this roundtable is “Is there an ideal size of human community?” Our texts for the roundtable were excerpts of Plato’s “Republic,” Aristotle’s “Politics,” and St. Augustine’s “City of God.” Here is the link. This class recording features Dostoevsky’s “Brothers Karamazov.” The moderators for this class were Fr. Joseph Fessio, Mr. Patrick Carmack, and Mr. Steve Bertucci. Here is a link to the class.